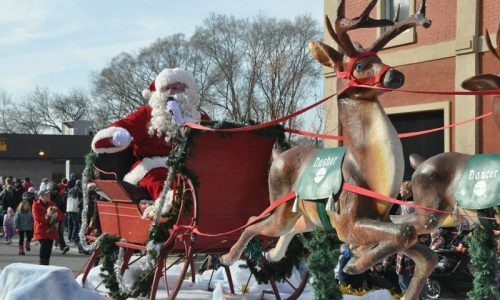 It’s the Holiday Season, so get ready to enjoy the sights and sounds of the annual Christmas Parades! We’ve made it easy for you to know when the Man in Red will be arriving in your town: after all, Santa isn’t the only one making lists! Lions Club of Kitchener Santa Claus Parade – Saturday November 17th, 2018 at 10:30 a.m.
Cambridge Santa Claus Parade – Saturday, November 17th, 2018 at 6 p.m.
Ayr Santa Claus Parade – Saturday, November 24th, 2018 at 1 p.m.
Elmira Kiwanis Santa Claus Parade – Saturday, December 1st, 2018 at 10 a.m.
Baden Santa Claus Parade – Saturday, December 1st, 2018 at 1:30 p.m.
New Hamburg Santa Claus Parade – Sunday, December 2nd, 2018 at 6 p.m.
Christmas Tyme in Wellesley Parade – Friday, December 7th, 2018 at 6:45 .m. 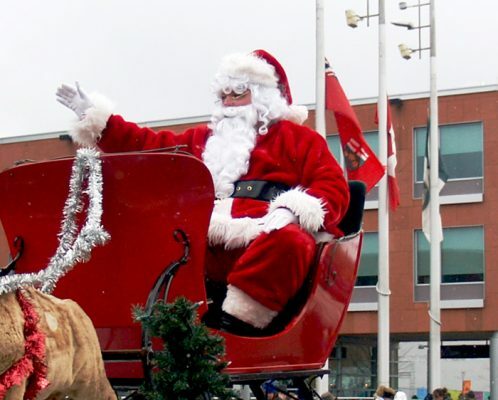 St. Clements Santa Claus Parade – Saturday, December 15th, 2018 at 1 p.m.
New Dundee Santa Claus Parade – Sunday, December 16th, 2018 at 12:30pm.